Whatever you need, Just let us know! It is our mission at Rippeon Equipment Company to provide quality equipment and customer service backed by technical expertise to establish long-lasting relationships with our customers.Customer satisfaction is our number one priority and can only be achieved by our commitment to quality and excellence. We carry top-quality products for all types of agriculture jobs and offer in-house maintenance services whenever you feel your machine begins to break down, just visit our service department. If you feel you need to replace a part or upgrade a current machine, don't forget to stop by our parts department. 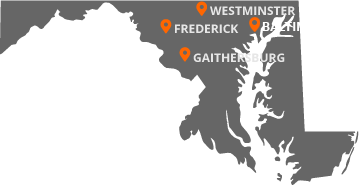 We currently have three dealerships established in Maryland. Visit any of our dealerships or contact a representative today for more information towards a product we carry.